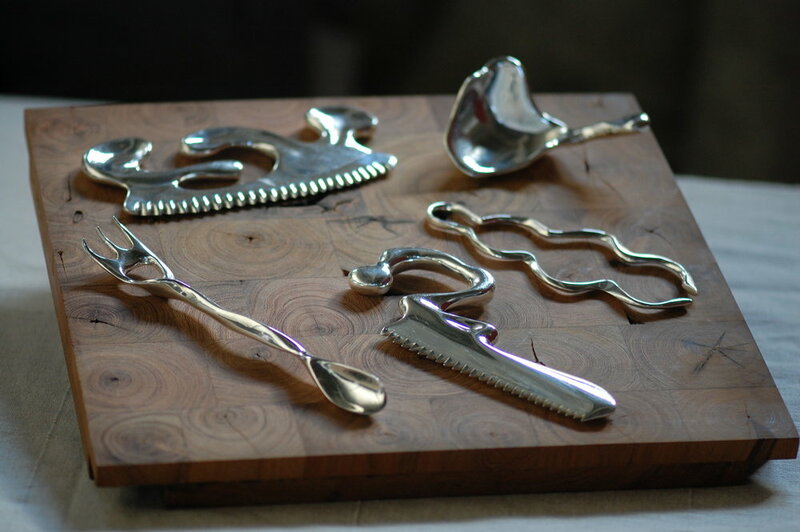 A collaboration with Scott Witthoft, i tavolini, playfully juxtapose the tradition of tools and silverware with the textures and movement of flowing water. Each piece engages users with a new set of tactile and visual instructions based on form. I tavolini are designed to give the individual an opportunity to define the correct way to use each piece, with some pieces overlapping the function of traditional forks, knives, and spoons. 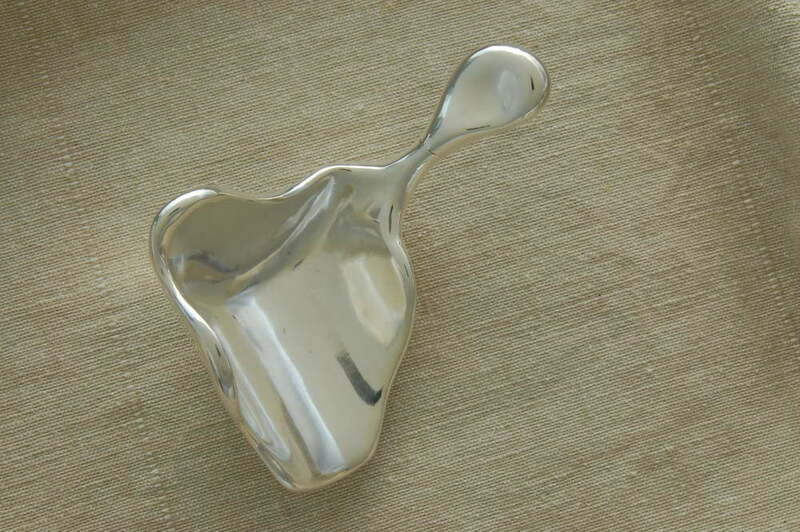 The result is a lively deviation from the conventions of silverware. I tavolini are designed to provide an initial satisfaction of weight and curve combined with subsequent surprise at discovering a new way to fit each piece in hand, subtly enhancing the unrecognized daily ritual of eating with silverware. 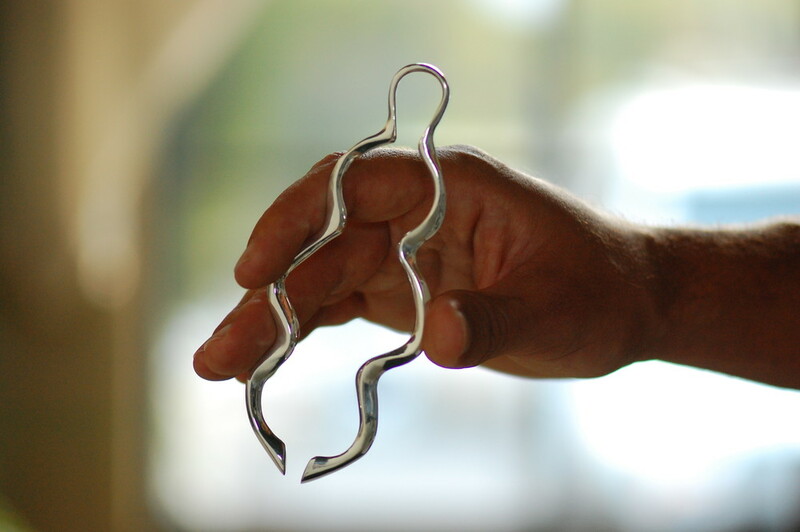 Each food-safe piece is cast in bronze and plated in silver. 2008: Shortlisted for Designboom 'Dining in 2015' design award.